The pivot node has the pivot and local transformation matrices. The pivot transformation matrix sets transformation of the basis of rotation (the pivot point) of child nodes. The local transformation matrix sets local transformation of child nodes relative to the pivot point. Both matrices can be edited in the Parameters window of UnigineEditor: Node Tab -> Node Pivot section. On the Menu bar, click Create -> Node -> Pivot. 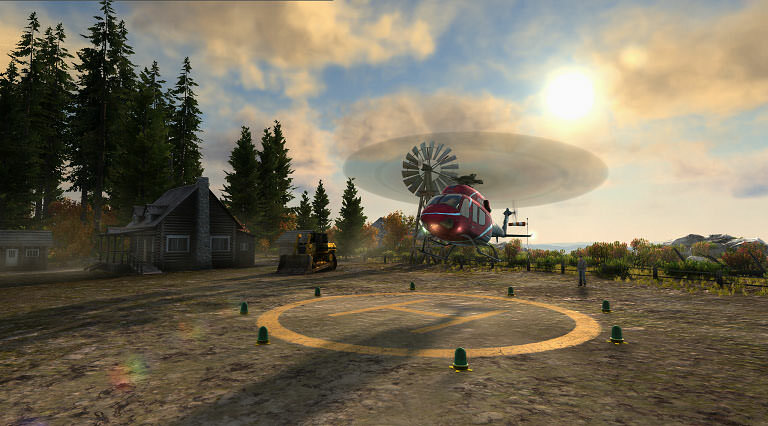 Place the pivot node somewhere on the scene. By default, the pivot and local transformation matrices of the added node are equal to identity matrices. 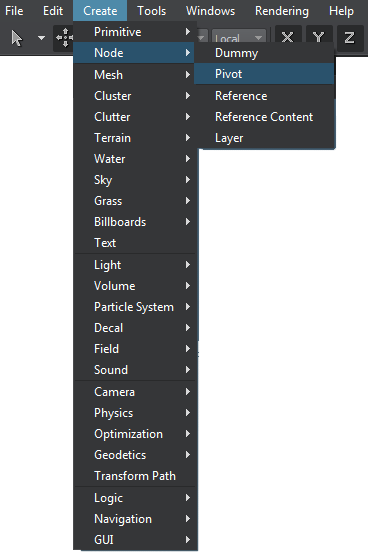 You can change them in the Node tab of the Parameters window. Editing the pivot node implies changing its pivot and local transformation matrices in the Node tab of the Parameters window. 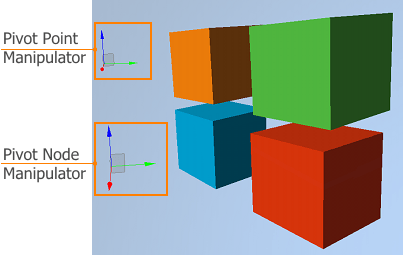 Transformation of the pivot node is edited in the Common section of the Node tab in the Parameters window. To edit the pivot point transformation, you should select the pivot node and edit data in the Node Pivot section. 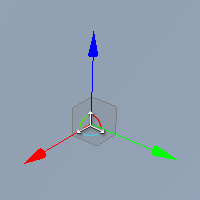 As a result, 2 manipulators appear: the smaller manipulator for the pivot point and the bigger one for the pivot node. 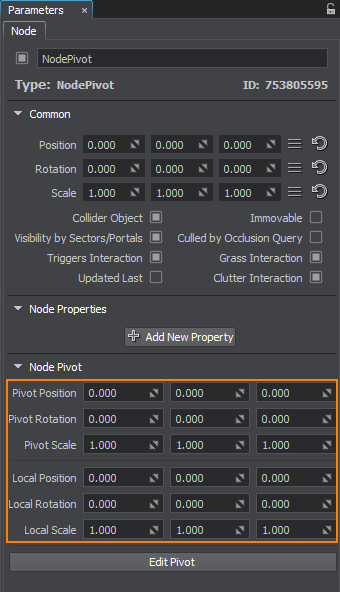 To change the pivot point transformation, press Edit Pivot and change the required pivot values in the Node Pivot section or transform the manipulator. If the Edit Pivot button is pressed, changing the pivot point manipulator will change the pivot point transformation. Otherwise, the local transformation of child nodes will be performed.